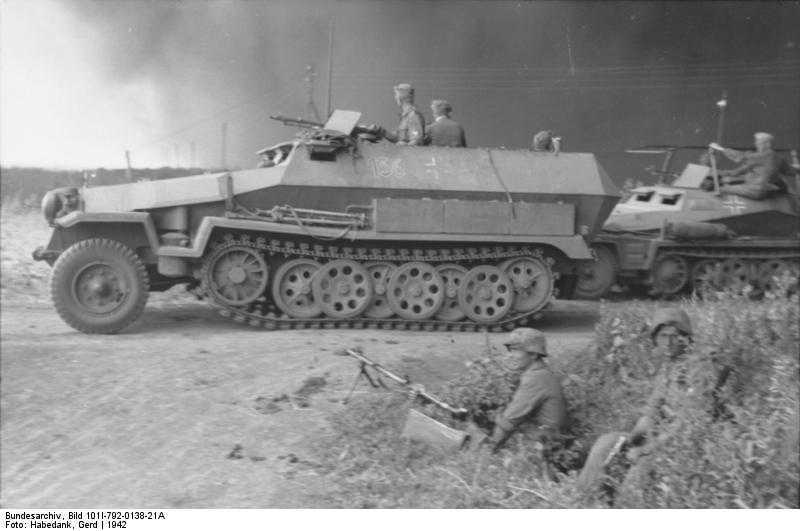 Notes The Sd.Kfz 251/1 was light armoured halftrack designed to carry a ten man infantry squad plus a two man crew. It was issued to Panzer Grenadier regiments of either Panzer or Panzer Grenadier divisions. Early vehicles came in three models, with each having minor differences. Ausf A: Had side vision ports in hull for driver and co-driver + hull personnel. Ausf B: Had side vision ports for driver and co-driver only. Ausf C: Had an armoured shield for front machine gun a slightly different armour. They were also converted for use in a number of roles and saw action on every front.